Need collision repair in Austin? Choose S&A Auto Body! 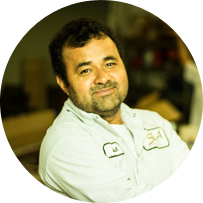 Whether your car is domestic or foreign, S&A Auto has been your auto body repair shop in the greater Austin area since 1997. 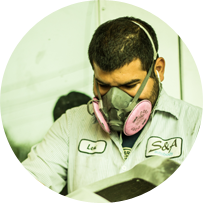 Since day one, superior customer service has separated S&A Auto Body from its competitors. S&A Auto knows that dealing with insurance companies after a car accident can be a huge hassle for our customers. With our experience, we deal with all the insurance paperwork and phone calls so you don't have to. We have the honesty, integrity and the skill to meet the terms of estimate approved by the insurance carrier while also striving for customer satisfaction. S&A Auto Body has experience working with several insurance companies, including State Farm, USAA, Farmers, Allstate, Chubb, 21st Century, Fred Loya and GEICO. Our vision is to establish personal relationships with all our customers and become the most trusted automotive and/or fleet repair shop. Success derives from the continual application of moral principles. At S&A Auto Repair, we believe that these principles will establish a trusting relationship with our clients to better serve their automotive repair needs. Here at S&A we strive to return a customer's vehicle in the quickest manner possible. However, no shortcuts are taken to achieve this goal. 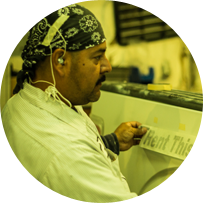 Every job is done with the utmost attention to detail at all times ensuring a job is done once and done right. You will be satisfied. S&A's main concern is a job done right, quick, and inexpensive. Inexpensive items tend to be made cheaply whether it's cheap material or poor quality labor. Here at S&A we provide you with the best quality materials coupled with detailed labor while still maintaining low prices. Sure, we might look a little rough on the edges, maybe a little scruffy too. But in the interior we are kind, family-friendly folks ready to shake some hands. Here at S&A we are content with our size. We believe that the small-size-shop-feel leads to a more personal relationship with our customers. Here, you don't have to seek out several staff members to finally get to your vehicle and get different information from several sources. That leads to confusion. 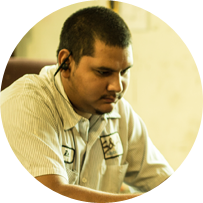 Here, you speak directly to those working on your vehicle and get the most accurate information on the spot. This leads to a content customer and that is our goal at all times. Interested in getting a quote? Contact us today and speak with us about work you need done. The repair process begins even before you leave your car with us. S&A Auto has favorable relationships with all insurance companies. We are direct repair facilities for many of them, meaning S&A Auto Body will assist the insurance companies in writing the estimate, handling your claim, and negotiating with the insurance provider to ensure your vehicle is repaired properly. If your vehicle is drivable, S&A Auto will preorder your parts to cut down on the time your car is in the repair shop. If you decide not to file with an insurance company, the process would be the same. Once repairs are complete, your car is given a complimentary vacuum and wash and is given a final inspection. All aspects of the repair are checked and tested to insure they are all functioning properly. If your vehicle is too damaged to drive, S&A Auto will be happy to tow your vehicle to our facility and arrange appropriate transportation for you to and from our auto body shops in Austin, Texas. Simply contact us for immediate assistance. Don't hesitate to get in touch with us, we are available and ready to discuss your automotive needs. © 2015. S&A Auto Repair | Website by CS Web Design.